Today we talk about firmware LG F100L download and main features of smartphone. LG F100L is the Korean version of smartphone LG Optimus Vu. The international version of smartphone has the model number LG P895. You can find firmware LG P895 download by this link. In this article we share with you links to firmware LG F100L download. But first, let’s recall the main features of smartphone. Alternative names of LG F100L are following: LG Optimus Vu, Optimus Sketch, LG-F100L. It has 5.0-inch display with resolution 1024x768 pixels and aspect ration 4:3. The smartphone is equipped with powerfull processor Qualcomm Snapdragon S3 and 1 GB of RAM. There is 32 GB of internal memory. As you can see, it is quite powerful smartphone even for the present time, despite the fact that it was released in 2012. So, now you can use following links to firmware LG F100L download. You need to know the version of your smartphone before installing the firmware. This firmware is only for LG F100L. 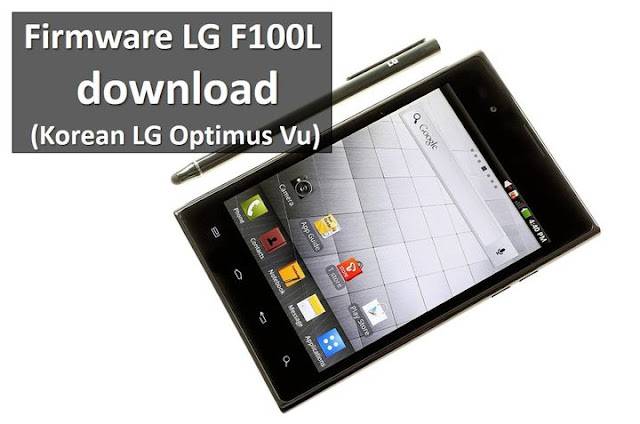 If our article about firmware LG F100L download was useful to you, please, share it with your friends.